While KetoMed tastes great as a shake, there will likely be times when it doesn’t fulfill the dessert craving you may have. During this time, abandoning your Ketogenic lifestyle even for a moment is more likely than ever as you struggle to satisfy your sweet tooth. 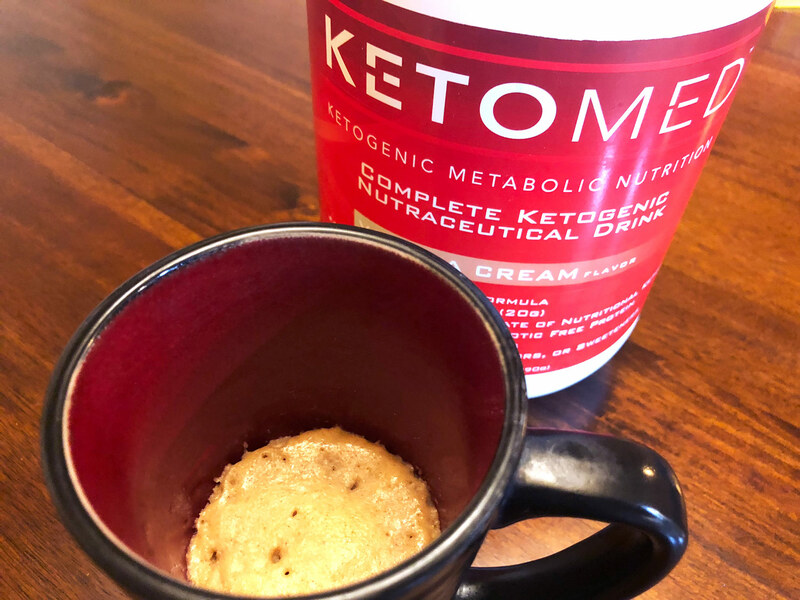 With the KetoMed, you can ditch the sugary desserts and get the flavor you crave with a healthier, keto cinnamon mug cake. 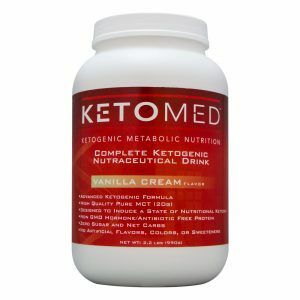 KetoMed is formulated to deliver the golden ratio needed to sustain or encourage a state of dietary ketosis in the body. This means that our keto cinnamon mug cake recipe will not only satisfy your cravings, but it will also perfectly complement your dietary needs if you follow a low carb or low grain meal plan. This easy recipe turns your KetoMed into a light, yet fluffy and moist, mug cake that contains the best nutritional profile possible for your Ketogenic lifestyle. Why settle for flavorless fat bombs when you can have a dessert that truly satisfies your cravings? If you love the taste of a traditional cinnamon roll, we can guarantee you will love the taste of the KetoMed cinnamon mug cake. You can even combine your dry ingredients in advance for a quick keto cinnamon mug cake any time your cravings hit! Use cooking spray to grease the inside of a mug or microwave-safe bowl. Add all dry ingredients to the bowl and mix well until incorporated. Add egg whites to dry mixture and mix until a batter begins to form. Begin adding unsweetened almond milk and vanilla extract while mixing until a thick batter is formed. If desired, add extra granulated sweetener and cinnamon to the top of your batter mixture. If adding the glaze, mix both ingredients together in a separate bowl until incorporated. Microwave for 60 seconds or until the center of the mug cake has cooked. Once completed, add glaze to the top of your mug cake and enjoy!